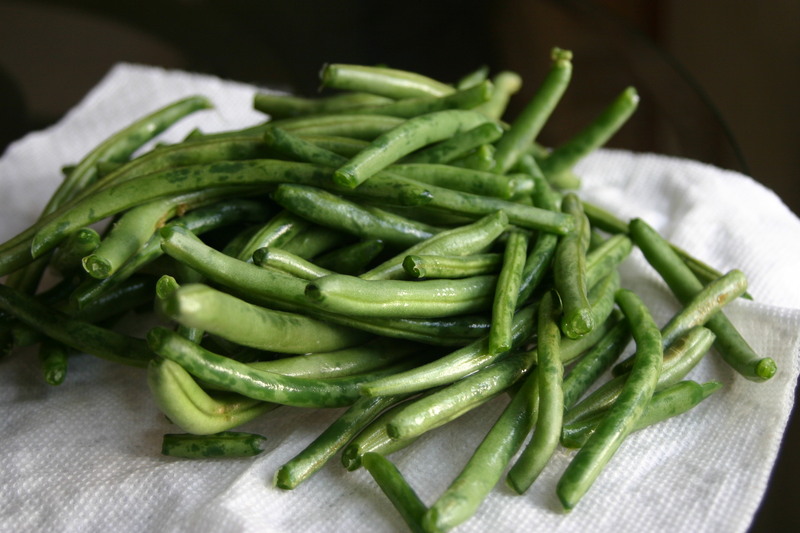 We started by washing and cooking the fresh green beans. 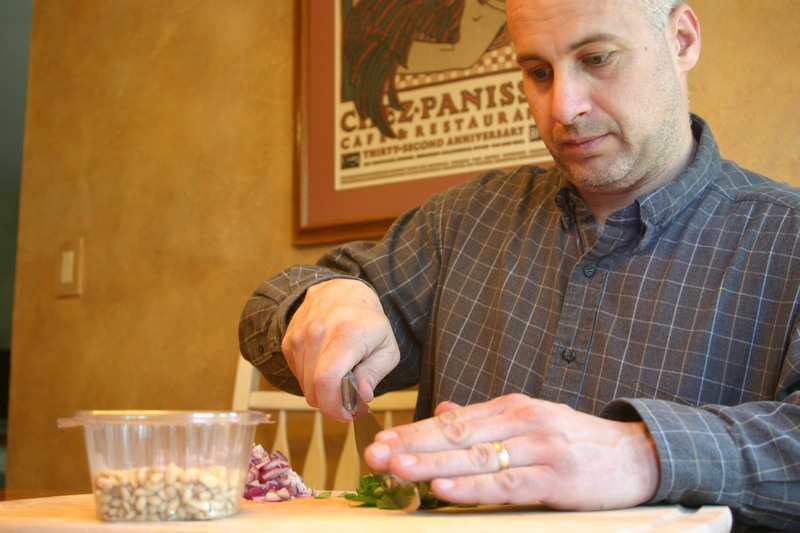 Dad took care of chopping the onions, mint and pine nuts. 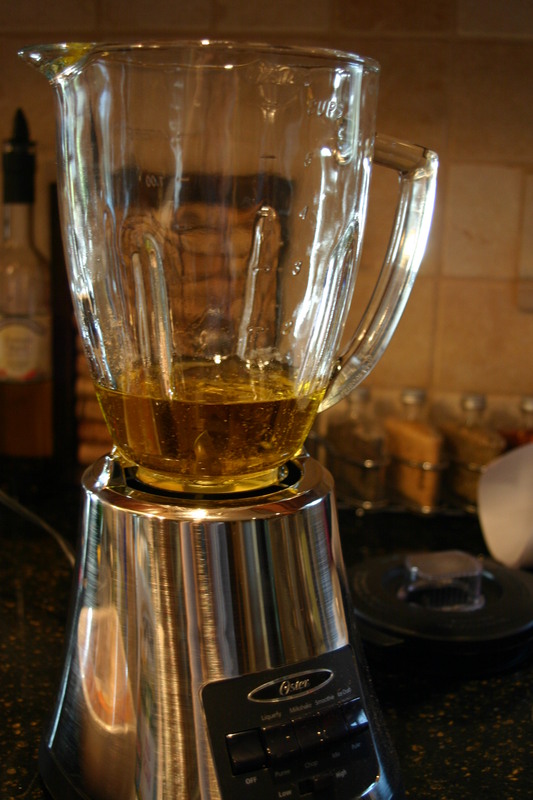 The mint was then added to the blender with olive oil, white vinegar, garlic, salt and pepper to create the dressing for the beans. 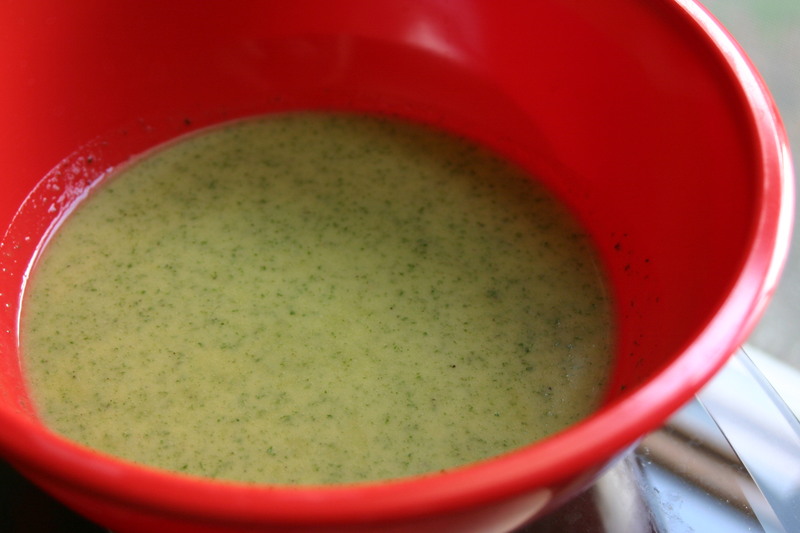 The dressing was then refrigerated overnight before being added to the beans. 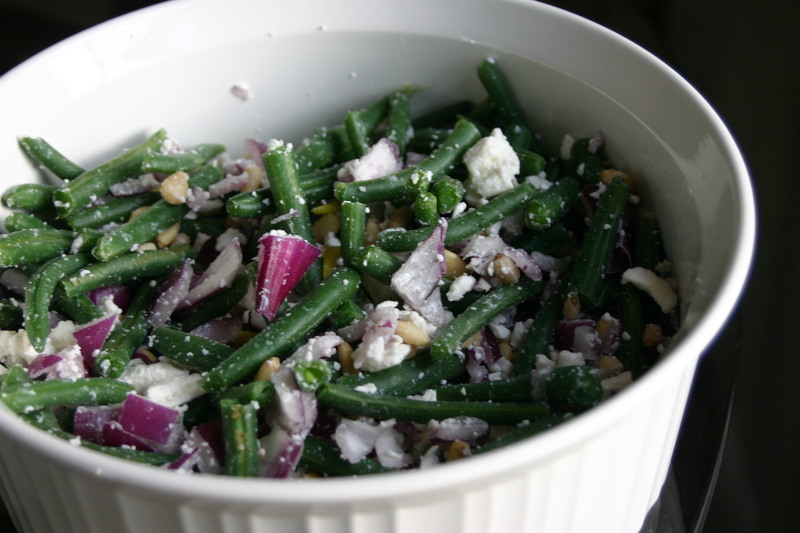 We then tossed the beans, onion, pine nuts, feta and dressing together to create a nice little bean salad. I set aside a sample for dad before sending the rest off to school. He gave it 3 spoons. I left this one to try another time as I like green beans only slightly more than beets. At least they don’t elicit a gag reaction from me, and I have to admit they sure look pretty. This sounds so tasty!! 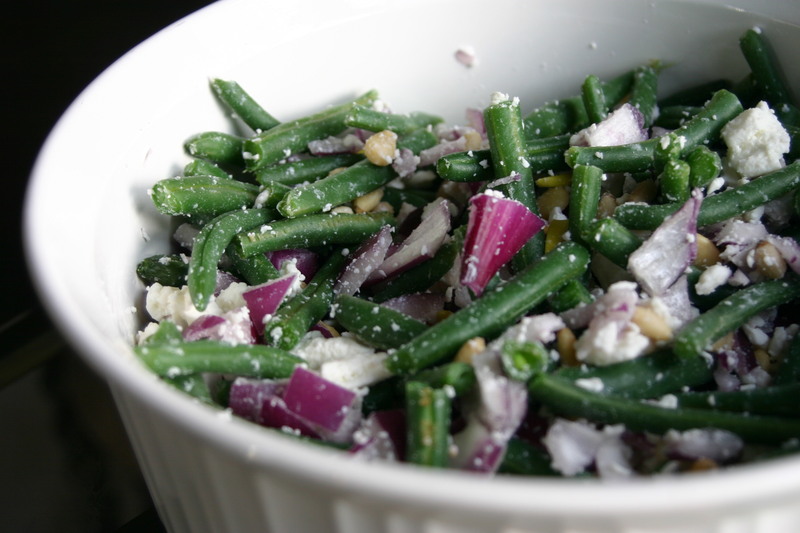 I am not huge on green beans, but this looks too good to pass up. I remember snapping them at my great grandma’s. 🙂 Thanks Kay! Have a great weekend. Perfect! Another way to use my fresh mint. Great recipe.